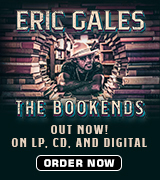 Beloved musical gypsy and historian Eugene “Hideaway” Bridges dropped in to one of his favorite haunts on the planet to record this live set of soul drenched blues, which pays homage to his father as it breathes life through new songs into the tunes he first heard at his dad’s side. 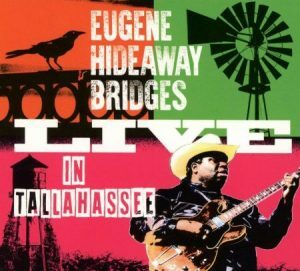 Born and raised in Louisiana, Bridges is true blues royalty, the fourth of five children born to Othineil Bridges – better known as guitarist Hideaway Slim. His mother was a member of Tina Turner’s family from whom the future bluesman acquired his first guitar. Now 55, Eugene has been wandering the world since leaving home at age 16 to join the Air Force. A gospel singer with his brothers in his youth, he joined The New Chosen and then The Mighty Clouds Of Joy after his discharge. He formed his own band, mixing blues, R&B and gospel, after moving to Houston, but relocated to Paris in the ‘80s when bassist Big Joe Turner – formerly of B.B. King’s band and not to be confused with the pianist of the same name — invited him to join his Memphis Blues Caravan. Hideaway stayed for a year before reforming his own group. His popularity in Europe soared after recording the Born To Be Blue album, which was produced by Mike Vernon, the legendary British historian and music executive. Organizations in the UK and France both recognized him as their singer of the year during that period. 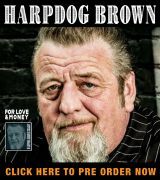 A 2017 Jus’ Blues Music Foundation Lucy Award honoree – the lifetime achievement trophy named after Albert King’s guitar, Bridges has been dividing his time between the U.S., the west coast of Australia and Singapore, where he’s spokesman for the national airline, for the past several years. But he stopped off at Bradfordville Blues Club in Tallahassee, Fla., to capture this disc in his travels. Captured in front of an eager audience on Aug., 11, 2017, Live In Tallahassee features Bridges accompanied by keyboard player David Webb and a rhythm section of bassist Kelpie McKenzie and drummer Pat Manske in a set of 17 Hideaway originals and one cover. Bridges fires out of the gate with the uptempo shuffle “Step By Step,” kicked off with a super sweet single-note guitar intro. It tells the audience from the jump that they don’t need an invitation to walk a mile in his blues shoes. The bittersweet “I Can Never Forget” recounts having a broken heart after a lady walked out of his life. The theme continues in the Texas blues, “How Long,” in which Bridges describes being “tired of being sick and tired” of his current state of affairs. “When The Blues Overtake You” is an uptempo paean to the music Bridges loves. “Mom And Daddy’s Place” is a not-so-subtle message to lover that the singer wants to meet her parents while the ballad “Good Old Days” promises his wife that he’ll keep on loving her like the way he did the day they wed. Delivered from the point of a traveling musician, “Hold On A Little Bit Longer” urges he to be patient, that he’ll be home soon. Despite its upbeat delivery, “This Old House” urges the lady to return because their home’s fallen apart since she’s been gone. Relationship themes continue for “How Long Will It Take,” “I Can’t Wait” and “She’s Out Of My Life” before financial difficulties surface in “Take Home Pay.” B.B. King’s “Sweet Little Angel,” the only cover in the set, is up next before five more originals — “Don’t Call It Supper,” “I’m Holding On,” “I’ll Be A King,” “I Can’t Stop Loving You Baby” and “Rise Above It All” – bring the lengthy set to a close. Available through multiple online sources, including direct from the artist’s website (address above), Live In Tallahassee is a rock-solid CD from a tight band with a flawless delivery, and just your speed if you like your blues modern with an old-school feel.